It’s been an incredible year here at Kenley Revival HQ. We’ve achieved our biggest single event to date with our highly successful Sky Heroes day and we’re now tantalisingly close to completing the ultimate aim of the project – completing the onsite Conservation Works. We’ve been keeping the public up to date through guided tours as part of our Walk and Talks and our onsite events but as the nights draw in and the weather turns we can now look back at what has been an incredible year in the name of Conservation, Preservation and Restoration of these iconic structures. The pen on the North East side affectionately known as KC44 is the only blast pen to have its spine wall still intact. This surviving structure underpinned the very conservation ethos adopted by the project which was to retain as much original material as possible. The underlying principle of conservation is also that any introduced material or repairs must be clearly visible and easily changeable so that in say 100 years time future heritage conservators discover an even better way to conserve the site they could easily remove existing conservation repairs and replace with new methods. The field of conservation is ever evolving as more and more less intrusive or potentially damaging techniques are developed. An example of ‘good conservation intentions gone bad’ so to speak is the Rosslyn chapel where in the 1950s the interior carvings were cleaned and applied with a protective coating. Whilst this was believed to aid the preservation of the carvings it actually led to further deterioration as water was trapped leading to algae growth and also the detail of the carvings was obscured by the coating. Several decades later a massive conservation programme was undertaken including the removal of the coating. Back to our wall and here you can quite clearly see the new material or bricks versus the original material. It was hoped we would have a 75% salvage rate of the original material but unfortunately owing to severe deterioration it was only possible to salvage 50% of the original brickwork. What was replaced though is matched as closely as possible including the order of the bricks in each course which as you may have spotted is completely random! Our conservation contractor went to pain staking lengths to recreate this totally random pattern by photographing in depth the wall prior to the works. The amalgamation of preservation, conservation and restoration is what posed such interesting challenges for us here at Kenley Revival HQ. Using a specialist conservation contractor we knew we would be in safe hands in protecting as much of the heritage assets as possible whilst ensuring they would stand the test of time for future generations. The architecture is characterised as ‘Impermanent Architecture’, or rather architecture which was only built for a temporary purpose. That purpose was to defend Britain during World War II as the airfield was requisitioned as a fighter airfield in 1939 from being an aircraft acceptance park from 1917. The intention was for the fighter airfield architecture to be impermanent with the intention to return the land when no longer required to the City of London which occurred in 1959 when RAF Kenley was no longer in operational use and parts of the original airfield reverted back to Kenley Common. Parts of the airfield are still in active use and ownership today by the RAF. 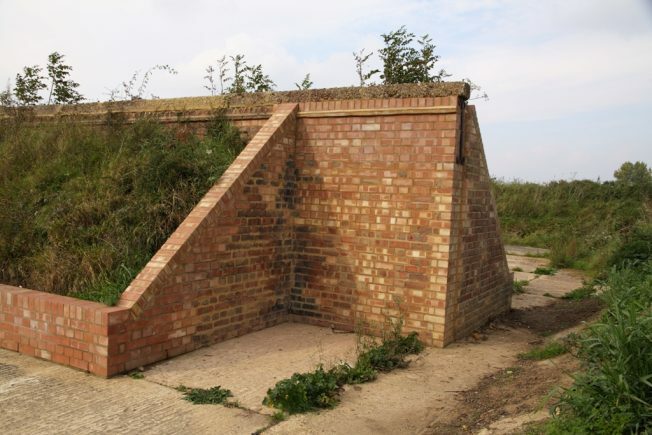 Here is the rifle range which is one of the final parts of the Conservation Works to undergo repairs. This has brought up interesting challenges for our conservation contractors, architects and Historic England in discussing the best and least abrasive method of removing the graffiti which has unfortunately occurred. For preservation purposes we want to preserve as much of the material without causing any further damage or deterioration through our conservation intervention. As you can see we’ve run some test patches with different methods to see which was most effective. The method we will use will ensure the graffiti is removed but will not cause any damage to the markings on the wall as a result of the ammunition. These holes could be analysed in the future for instance by experts to determine what type of munitions were used on the rifle range. 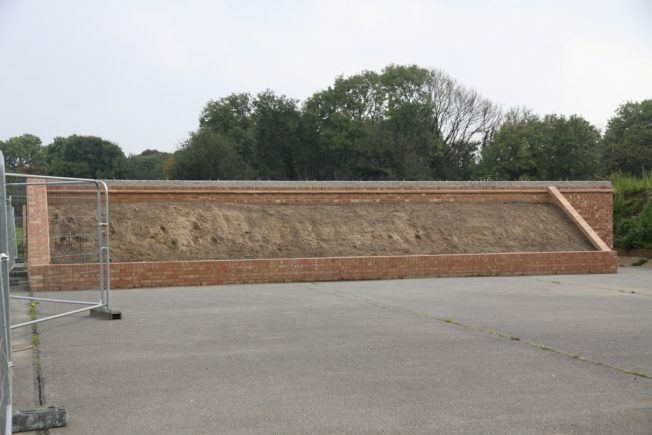 The spine wall in the RAF Kenley tribute pen underpins the need for Restoration as part of the Kenley Revival Conservation Works programme. Restoration is categorised by the use of appropriate methods in keeping the property or cultural asset as close to its original condition for as long as possible. This often means rebuilding structures in order to recreate them as they were originally intended. 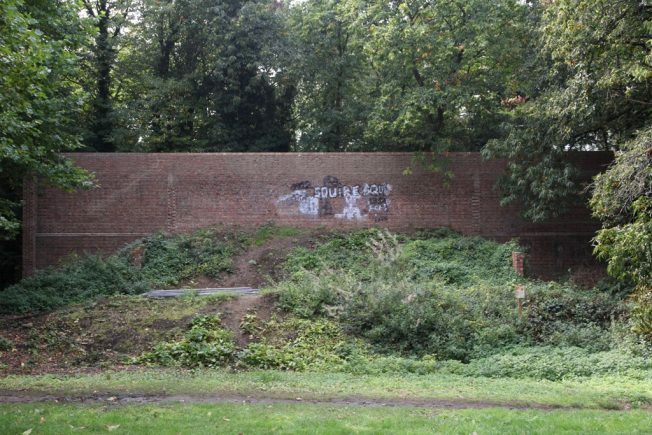 As you can see we’ve rebuilt or restored the spine wall in the RAF Kenley tribute pen to evoke what it would have looked like during the Battle of Britain. What was interesting about recreating the spine wall in this pen is that we only have one reference to an intact spine wall which is at the opposite side of the airfield which is also in a pen which was built completely differently to this pen. Whilst we wanted to recreate this spine wall as similarly as possible to the only surviving example we did need to amend the details slightly to make sure it was in keeping with the RAF Kenley tribute pen. For keen eyes you’ll notice this one has a brick end wall whilst the original wall on the other side doesn’t. We’ll be holding more Walk and Talks next year so you’ll be able to see the Conservation Works when they are fully complete. Details will be published on our newsletter. Many thanks to Tony Adams for the great photos!